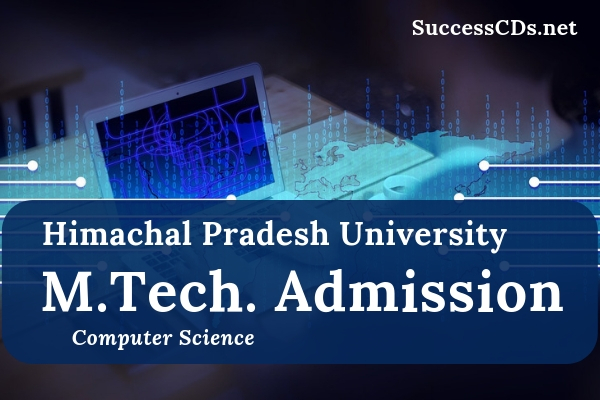 HPU Shimla M.Tech (CS) Admission 2019 - Himachal Pradesh University (HPU) invites application for admission to Master of Technology (M. Tech.) Program in (Computer Science) for the academic session 2019-21. The M. Tech. (Computer Science) is a two years full time post graduation course spread over four semesters. In this course, the students will be taught, the core & advanced subjects of Computer Science. 18 seats will be filled by following reservation for different categories as per the 106 point reservation roster followed by H. P. University. In case, any of these seats (supernumerary and in-service seats for candidates) remain vacant due to the unavailability of suitable eligible candidates, these seats shall remain vacant and under no circumstances, conversions shall be allowed. 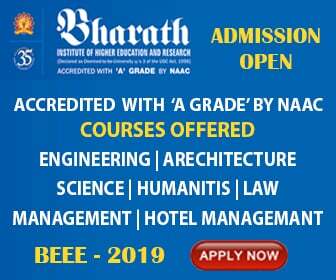 Candidates, who have passed Master degree with minimum of 55% marks (50% marks for SC/ST category), or equivalent Grade point, in Mathematics/ Physics/Electronics/Computer Application(MCA)/Computer Science / Information Technology/4-years Bachelor’s degree in Engineering /Technology.